Kim Mcdougal ~ Crocheter, Knitter, Crafter. Of course to crochet and knit, you need more than the hooks and needles. There's other tools that are very handy and today's post is a tribute to them in this roundup, because without them it be pretty tricky to make a nice fabric! First up, stitch counters. Essential for the patterns where it's important to keep up with what row or round you're working on. They come in all kinds of ways. In the pic above, that one fits on the knitting needle. I have one that goes around my finger and as I finish a row or round I can just press the button to keep up with where I'm at. I prefer the digital ones rather than the rotary kind where you have to push the button to move the counter up, I like just pressing the button and keep going. Clover Stitch Markers. I love these! How many times these have saved me. Now, you don't have to get the fancy kind, some makers use scrap yarn. I just prefer these. For crocheting, we need the removable ones and for knitting the opposite. To purchase from my affiliate account with Amazon, click on any of the images below. I've also seen decorative stitch markers for both crochet and knitting. If you like beads and jewelry pieces, why not try your hand at making your own? Marly Bird has two videos demonstrating how she made hers! If you can't view this video, click here to watch it on YouTube! 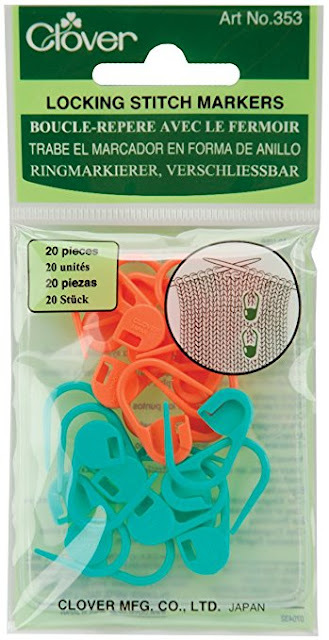 What about making stitch markers to go over larger knitting needles?, check this video below! If you can't view it, click here to watch it on YouTube! 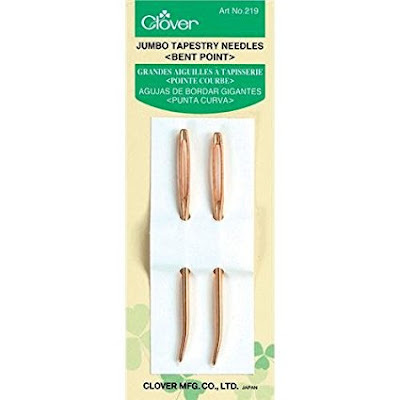 Tapestry Needles. I used to use the straight needles but have recently moved over to the bent tip needles. 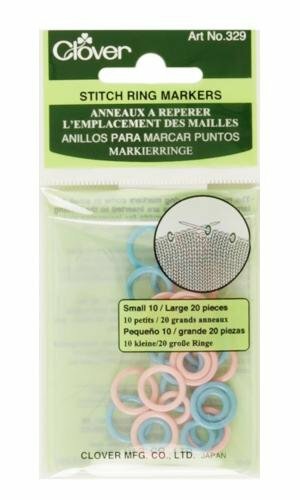 These are essential for weaving in the ends, sewing on buttons or other embellishments to our crochets and knits. Pom Pom makers. When I got back into crochet, I used the cardboard method as well as making a disc to do pom poms. But what I found out was that if I had to make a lot of them, they weren't coming out the same size and it just seemed too cumbersome. When I was introduced to the Clover pom pom makers, I was excited and never looked back! 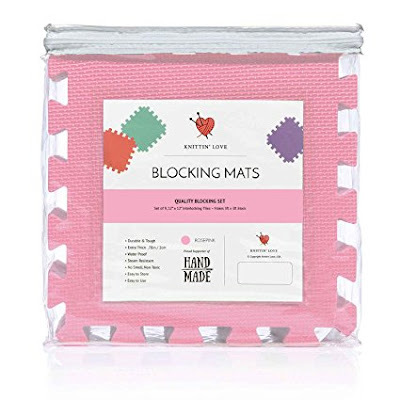 Blocking Mats. I have one specifically when I need to block my knitwear or even steam block a lacy garment. Blocking Pins. I like this brand because you can block more of the garment. Plus, it comes in this case so easy to pick up them up. Row counters. 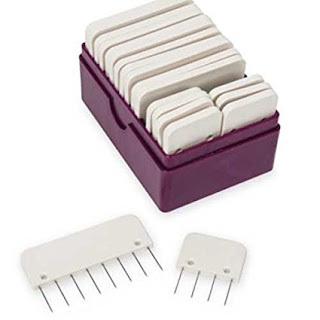 Like I mentioned, there are so many types of row counters so I can't recommend one brand, instead I've linked to the page on Amazon where you can see the different types and decide which one is right for you. Follow this link: http://amzn.to/2hFFNPR. I hope this roundup is helpful for you if you're beginning your yarn journey and a great reference for seasoned yarners! Have fun! This post contains affiliate links which means purchasing from the links above will earn me a small commission to help me run my blog and shop page. Thank you for your support. Subscribe to Kim Mcdougal ~ Crocheter, Knitter, Crafter.